Every year I await the return of the Osprey. In Scotland, the Osprey became extinct in 1916. They had been shot for their skins and the eggs stolen and sold to collectors. A pair were seen in 1954 but when they returned in 1955 and 1956, their eggs were stolen. In 1958, teams of volunteers guarded the nest, day and night, but even then they failed to prevent the destruction of the two eggs. In 1959, the nest at Loch Garten was declared a protected bird sanctuary and since then the Ospreys there have become a tourist attraction. But sadly there is always a battle with those who wish to kill the birds and steal the eggs. 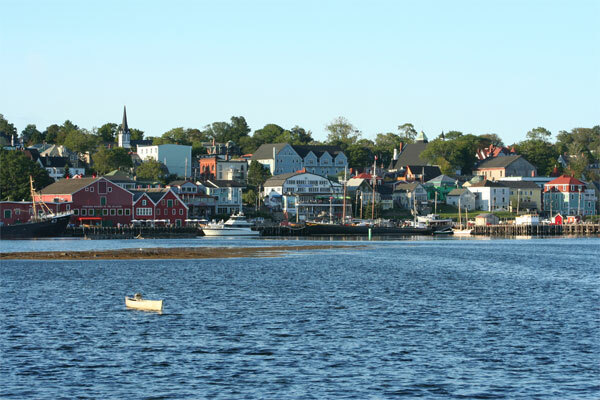 There is no such problem here in Nova Scotia. 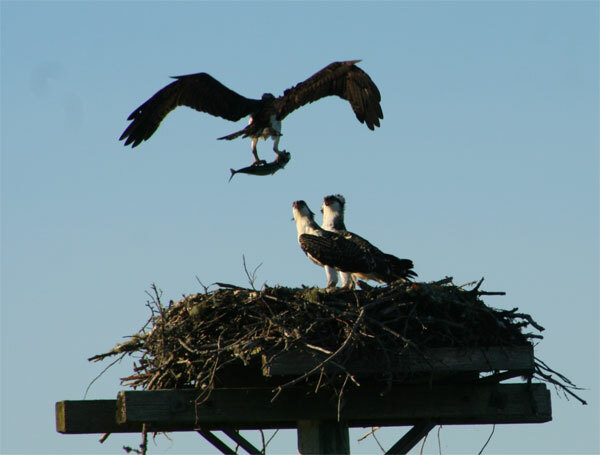 In fact, the Osprey is such a common sight that people almost take them for granted. They cannot believe how the Osprey has been persecuted in other parts of the world. 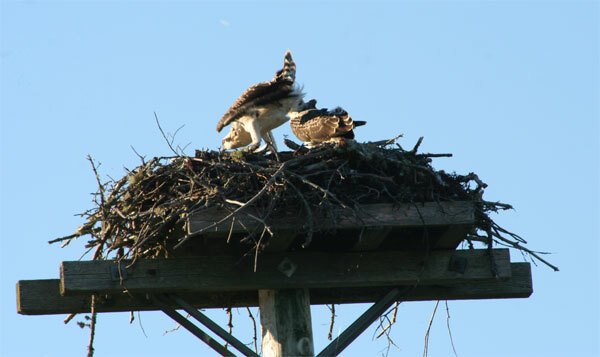 Everywhere, in forests, on golf courses, along the highways and around the coast line, you can spot Ospreys nests. These are often set on a man-made platform on the top of a tall pole. 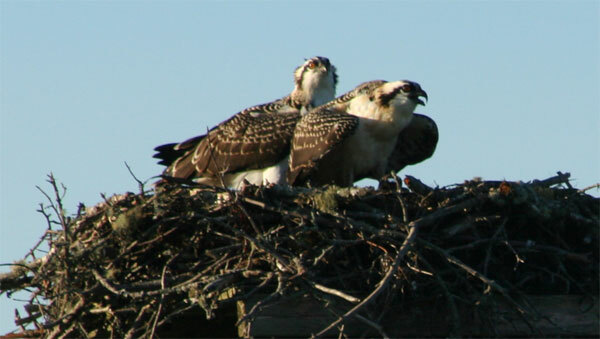 The Osprey is about two feet long and has a wing span of almost five feet. It is a specialist at catching fish. Here at Lunenburg we have a pair that return annually. They have the best view of the town. Last year we watched the two young grow until they filled the nest. I was lucky to catch the mother returning with a fish for the chicks. then she headed off again. They seemed happy with the meal. I hope it won’t be too long now before the Ospreys return to Nova Scotia, after their winter in Mexico and South America. Wow. I am surprised that You have photographed Ospreys. That is fantastic bird. I have never seen it. I think that it nests on the coast, maybe on the Western coast here as on our archipelago. Its perch it is protected. The oldest that has been ringed was 26 years 25 days old. It has been calculated that here there are about 1200 couples. 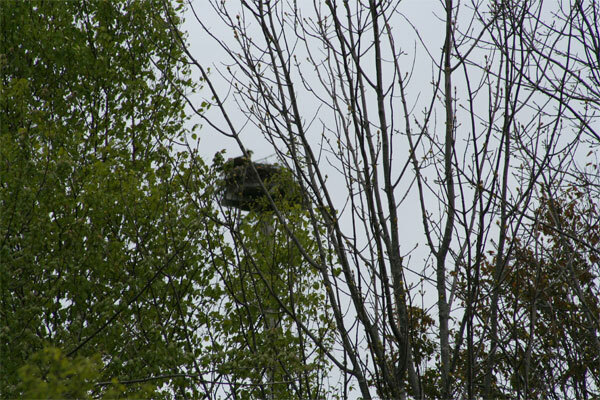 In Finland we have also Internet cameras showing (live show) its nest. At this moment it seems to be empty, of course due to cold Spring yet. Your photos are dream photos in my eyes. Thank You showing them!!! 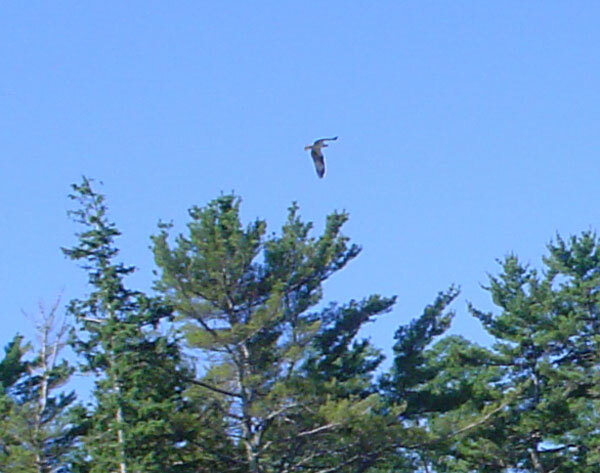 Yes, we are really privileged to be able to see ospreys wherever we go, on the south Shore of Nova Scotia. They are amazing birds and wonderful to watch. You must head to one of the hides this summer and get some photos. You will love it. No too bad indeed! Some great action shots! Thanks Fraser, it’s easier to get shots of them here than in Scotland. I watched them every year at Drumore, but could never get a recognisable photo. Awesome pictures. 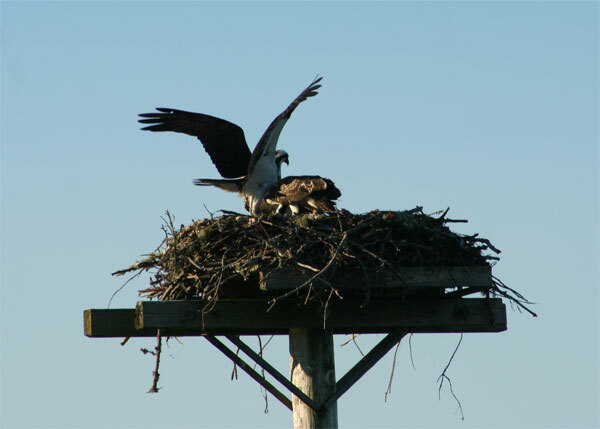 I have a house nearby in Kingsburg and am thinking of erecting an osprey tower in the hopes of attracting a pair. Amazing birds. Thanks for visiting my post, Terry. 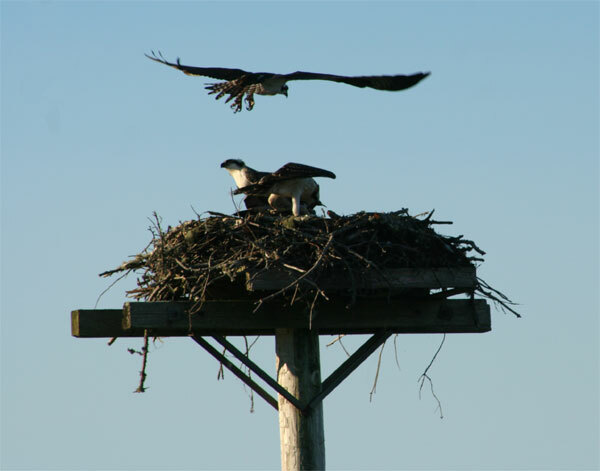 Wouldn’t it be great to have your very own osprey’s nest! I often walk at Kingsburg, so look forward to that. An osprey came over my house today with a huge fish!